She may have been out of action for a while after a painful hip injury earlier this year. 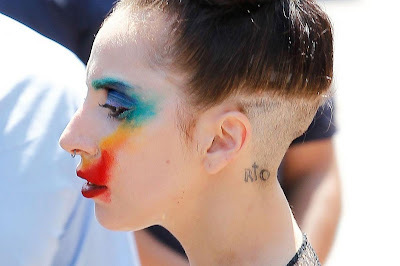 However, Lady Gaga is back with a bang and has rush released her new single Applause after it was leaked online but she's now gone and spread some more brilliant news. 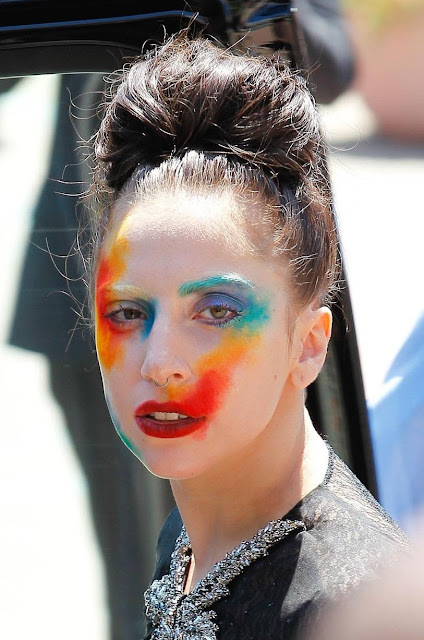 Gaga is set to headline the iTunes Festival in London in September with an hour long set featuring brand spanking new songs. Announcing the news on Twitter on Tuesday, she wrote: "I'M HEADLINING ITUNES FESTIVAL ON SEPT 1 AT ROUNDHOUSE IN LONDON. ONE HOUR OF ALL NEW MUSIC. 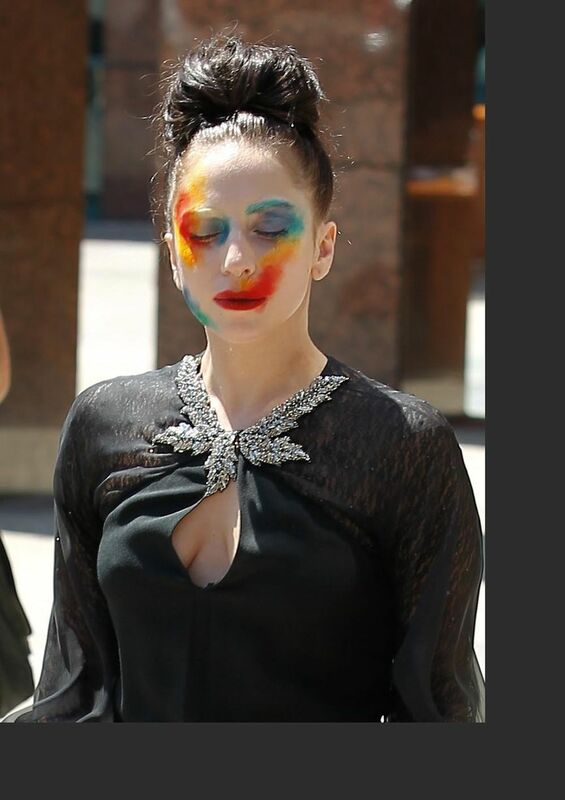 #UKMonstersGetReady." 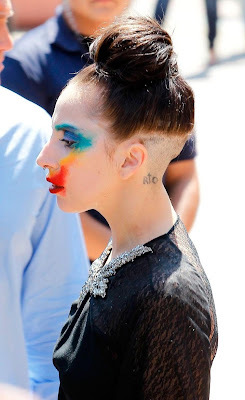 Mother Monster has become a bit of a public announcement service for herself of late with her heavy use of capital letters on Twitter and her attention grabbing acts. 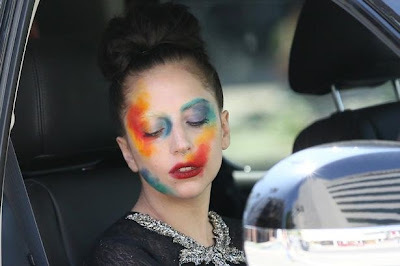 And Never one to let an advertising opportunity pass her by (or any opportunity for that matter), the singer was snapped on Monday with her face painted in a pop art style that echoed the cover art of her new single Applause. 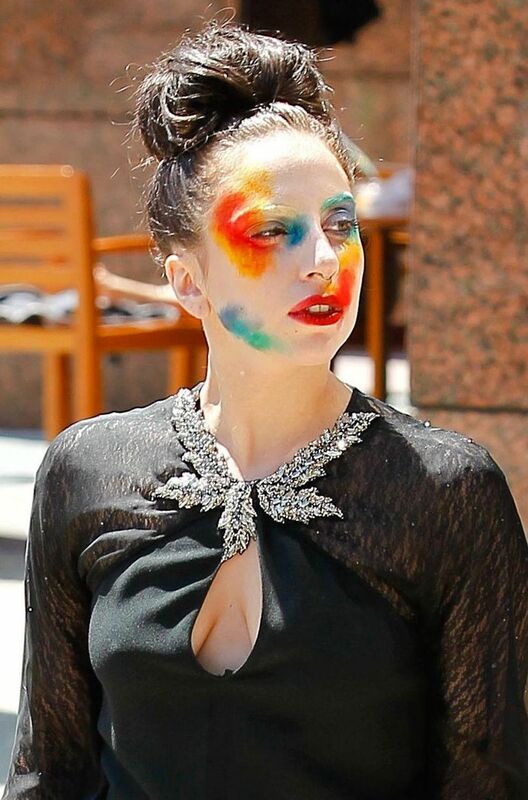 She was seen wandering casually around West Hollywood with the face art after her single was rushed out following the online link.